Charles W. Champion Jr. D.D.S. At Champion Dentistry, we believe that education, expertise, and inspiration can improve your smile. We use our training, experience, and insight to evaluate your dental condition. Then we apply state of the art equipment and dental techniques to restore, protect, and enhance the power of your smile. Champion Dentistry is unlike any other dental office you've ever been to! Dr. Charles W. Champion takes us through what differentiates his office from the rest in this latest edition of Small Business Saturday! Much of our practice is devoted to routine dental health care, including dental exams, cleanings, screenings, x-rays, and education consultations. But more than that, we aim to protect and preserve our patients’ dental health for the long term, and avoid the need for invasive and expensive procedures. “Prostodontics” refers to removable appliances such as dentures, partials, crowns, and bridges which are used to restore a patient’s ability to chew food properly. Well made, properly fitting prostodontic appliances improve a person’s overall health and allow them to look and feel better about their appearance, and therefore about themselves. We improve the smiles of our patients using a variety of advanced techniques to treat teeth that are discolored, chipped, or misshapen. We can close unwanted spaces, restore excessively worn teeth, add teeth, and even alter the length of teeth. 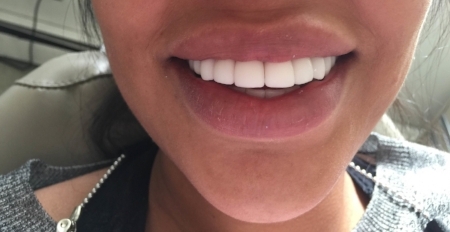 Our cosmetic procedures include installing caps, crowns, and veneers; bonding; reshaping and contouring teeth; and whitening teeth. Orthodontics involves aligning the teeth and jaws to improve a patient’s smile. Orthodontic techniques also improve people’s oral health and general health. Through orthodontic treatment, crooked teeth, “crowded” teeth, overbites or underbites, incorrect jaw position, and disorders of the jaw joints can be corrected. When teeth are in proper position, it allows us to chew and process food, helps keep our teeth cleaner, and give us a better appearance. Periodontal disease (“gum disease”) is a chronic condition involving inflammation and/or infection of the gums and surrounding tissue. This deterioration affects 3 out of 4 people at some point in their life and causes about 70% of adult tooth loss. Treatments for early-stage gum disorder (“gingivitis”) include cleaning, polishing, and debriding (removal of damaged tissue). Treatments for periodontal disease include scaling, debridement, chemotherapeutic agents, root planing, and smoothing root surfaces. Antibiotics or antimicrobials are sometimes used to supplement the effects of these procedures. In more difficult cases, surgery may be required. Sleep apnea is a common but serious disorder in which breathing is interrupted during sleep. Snoring is common among patients with sleep apnea; however, not all snorers have sleep apnea. At Champion Dentistry we provide sleep diagnostic testing and devices to assist those dealing with this issue.